♥ They last. Maybe up to the claimed 5 hours minus the creamy texture. 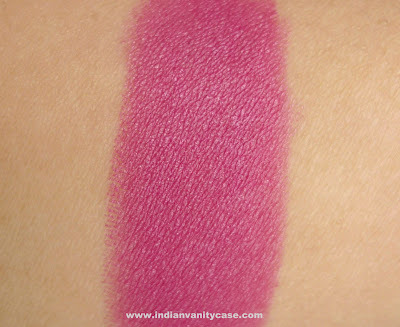 ♥ The lipsticks don't wear off completely leaving your lips looking pale, but leave some color like lip tints do. ♥ Available in 45 shades! - They are mildly scented. I know the scent, but I can't remember what it is (which drives me crazy!). I think the fact that I can't put a name to the scent bothers me more than the scent itself. But I assure you, it's not something to worry about. - Hard to remove. 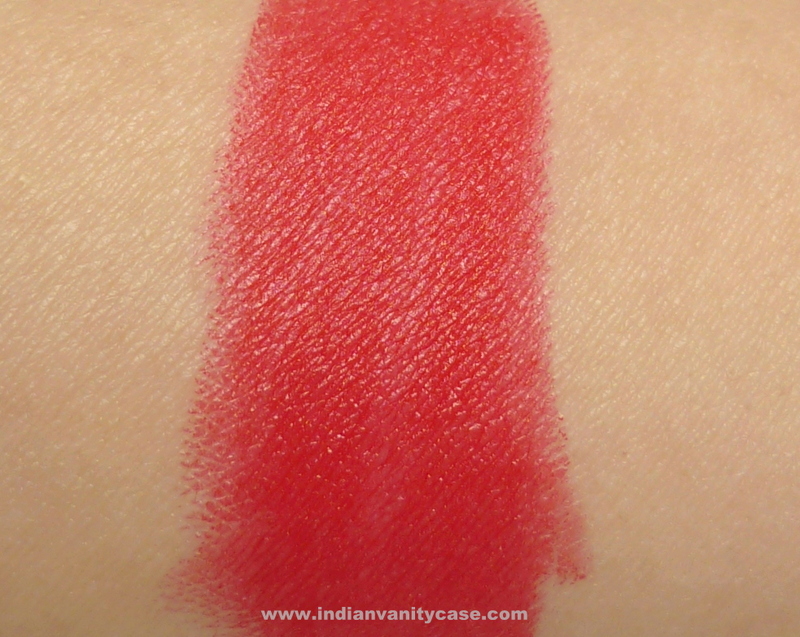 You'll need more than a tissue to get the colors completely off your lips. My favorite is Hot Hot Hot. 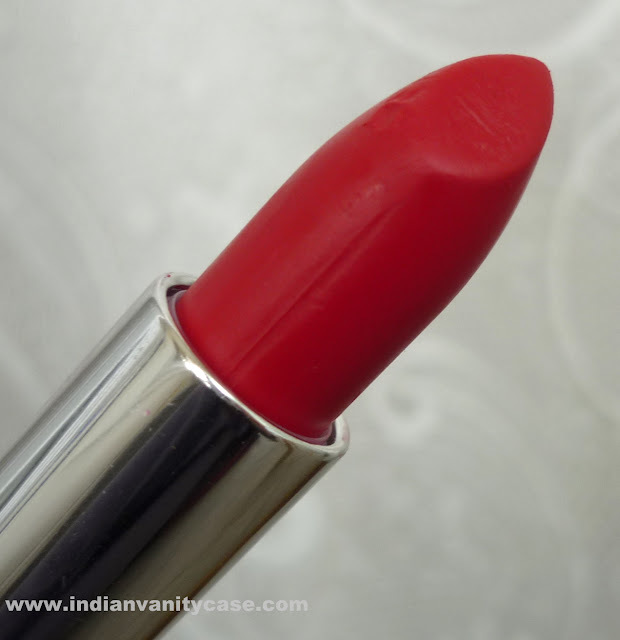 I think it's one of the best red lipsticks I own. 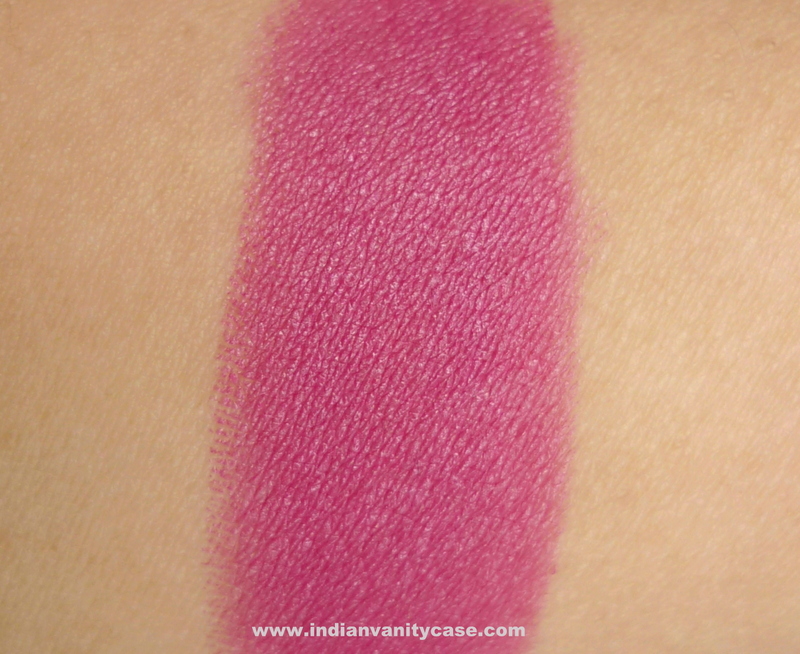 I totally recommend the Colorbar Velvet Matte Lipsticks. 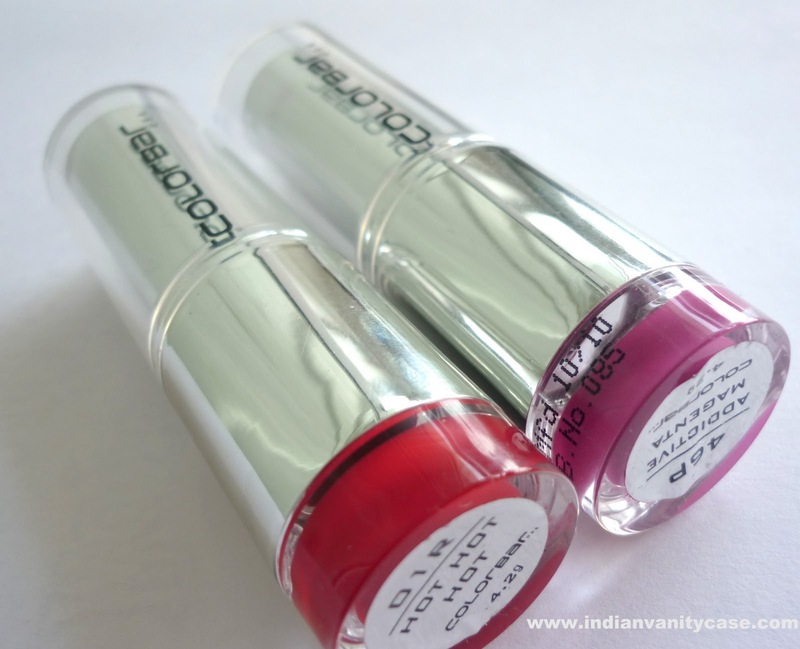 I think they are some of the best inexpensive lipsticks in India. 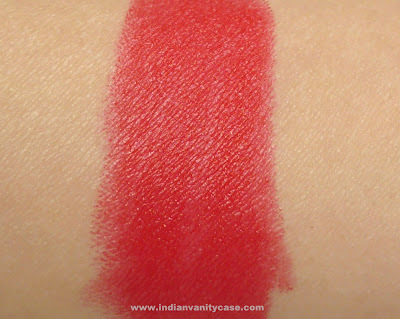 hi cynthia..i am a silent reader of you blog :-)i love your high quality pics and awesome reviews.. the hot hot hot shade is looking so HOT on you..
You rock the red girl.... hotness! I have the addictive magenta too. Love the Hot Hot Hot. I'm planning to get hold of more shades . I have naked pink..love the fact that they are long lasting..bt upon a lip balm..they stay less n come off easily too..
m surely checkin out hot hot hot !! will it suit warm tones ? 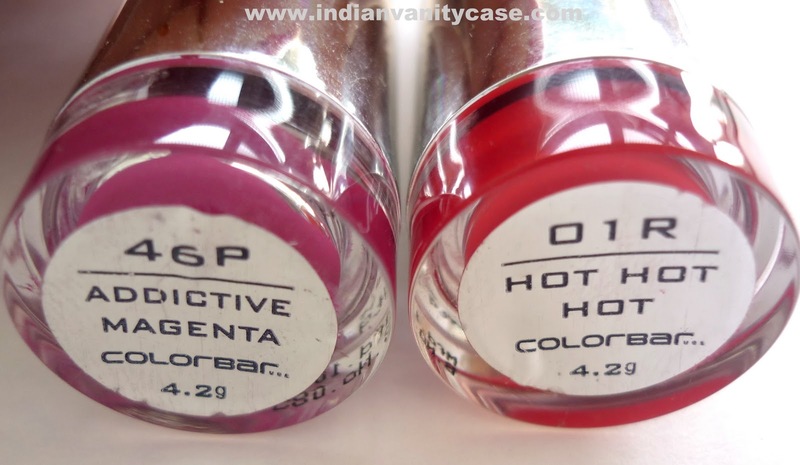 HOT HOT HOT is indeed a hot color~! HOT HOT HOT is one hot color for sure...but looks really nice on you !! I knw d feelng wen u cant name a part fragrance..drives me crazzy!! its happens wid most of my lipbalms! 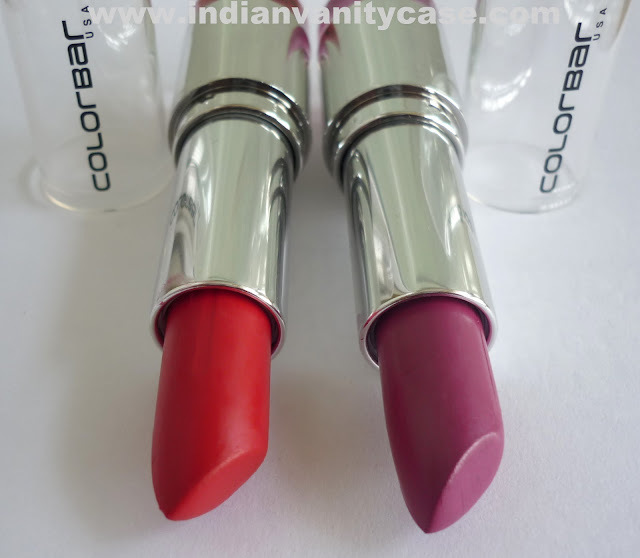 I'm also a great fan of colorbar lippies!!! hey, I even know the scent...I guess it smells exactly the same as my barbie doll smells!!! I am a fairly new entrant as far as beauty and make up is concerned. I have always been a no make up person. I think this is what legal profession does to you. Me and my another lawyer friend are now completely hooked on to your blog now. Great going girl keep it up. I am the "lawyer friend" Rashmi was talking about. We love your blog and actually have staretd consulting it now before purchasing any new product. Way to go!! Anjali- Oh hi! Glad u dropped a comment. Great to have u both here. Thank you so much for the support! Happy reading. 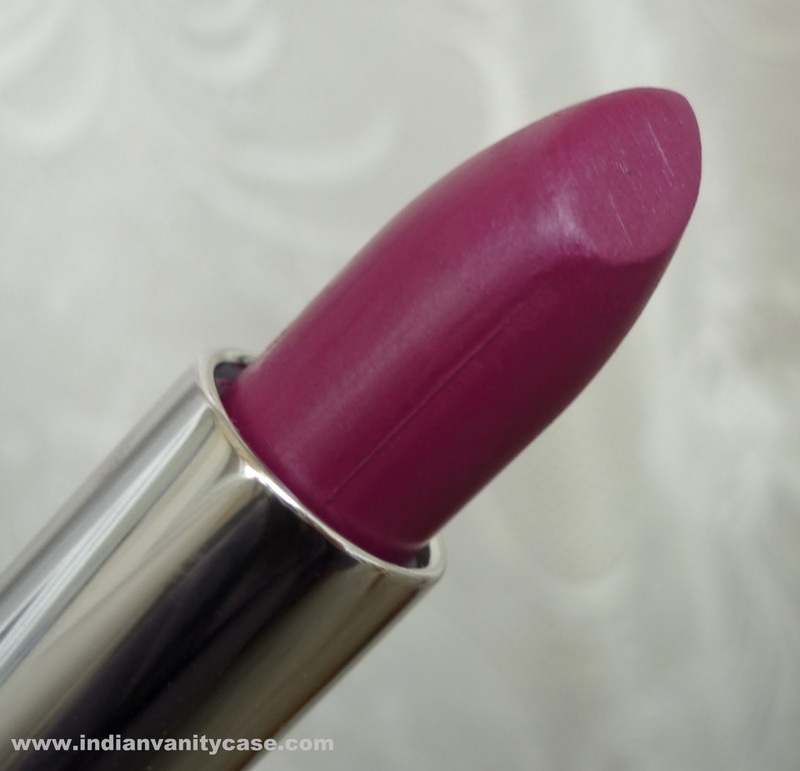 Hi Cynthia,I just lurvvv your blog...have you tried pretty please from this range...it is my go to lipstick...I am also nc25!